I think this is probably a good witch. She doesn't look scary, does she? 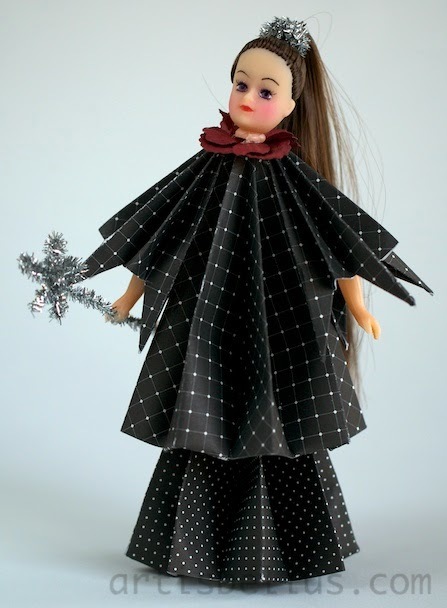 I created the good witch doll with traditional kusudama pieces. I was inspired by the paper dolls from the book Creating Lovely Paper-Flower Dolls . 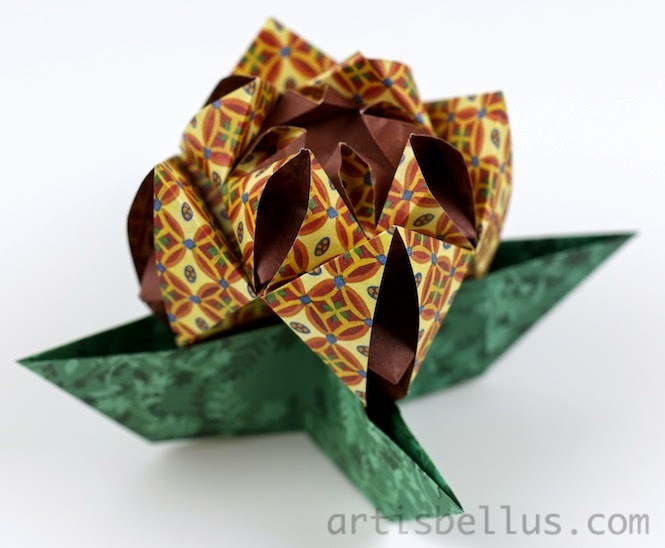 I folded the kusudama pieces with 8” (200 mm) and 4” (100 mm) squares of scrapbook paper. I completed the doll with a Sets of doll head and hands and a few accessories. 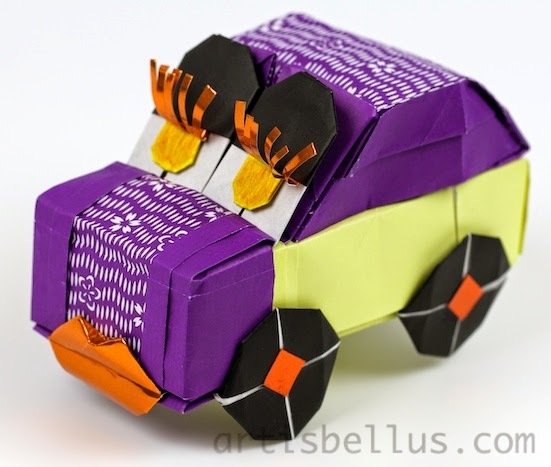 This Beetle is so much fun to fold! 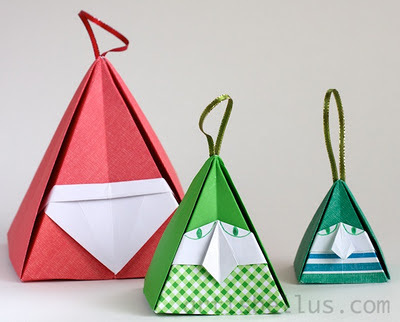 As it's folded with several sheets of paper, you can combine different colors and accessories to create variations. So here is "Lady Beetle", ready to go to a Halloween party. The Beetle model was created by Halle. The instructions are available in the books Origami Europe: Colour edition , and Origami Europe: Black and white edition . I folded it with several squares and rectangles of different sizes of origami paper, ranging from 1½" to 8" (38mm to 200 mm). This modular flower, design by Tomoko Fuse, looks very nice and it's very simple to fold. 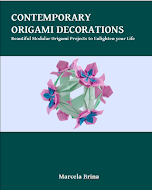 The instructions are available in the book, Origami Gifts , by Tomoko Fuse.